What is the premium for Phoenix waterfront property? People have often commented that Phoenix waterfront property is an oxymoron. How can there be waterfront homes in a desert? Not too far into the conversation, the question will be “Is waterfront property more expensive than non-waterfront property?” The easy answer is “yes, of course” since there is less of it. Where it gets more complicated is the question, “How much more expensive is a waterfront home?” My answer has always been, “well, it depends”. I thought it was about time to put some numbers to it. The definition of waterfront property in Arizona can vary greatly. To some, waterfront property means having a boat dock at the edge of the property with the ability to cruise around the man made lake in a pontoon boat at sunset. Others are classified as waterfront when there is a fence and small common area buffer between the property and the water. Then there is the agent that checks the waterfront box because you can stand on the 2nd story deck and see a man-made lake on the golf course. 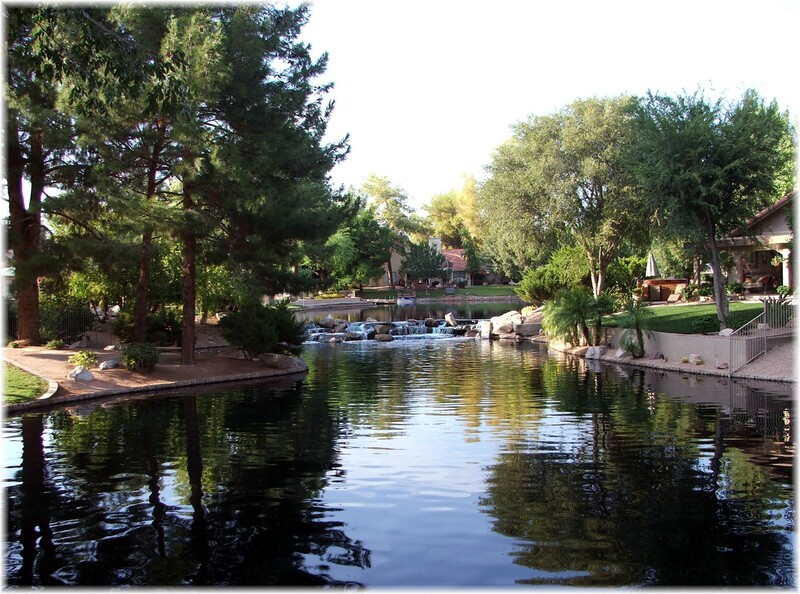 The most generous classification for waterfront can be seen when a home borders one of the many canals that run through the Phoenix area . 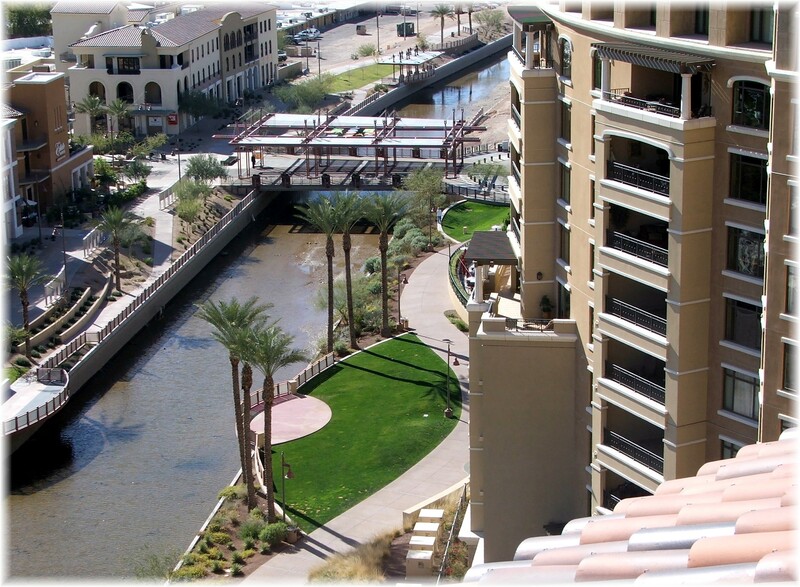 For example, Scottsdale Waterfront Residences condos on Camelback border the Arizona Canal so that has to be waterfront, in fact its even in the name right? Maybe a better classification would be water-view or water feature instead of waterfront for many of these properties. The reason for pointing out these differences is that it is impossible to apply a flat premium percentage to waterfront or lakeside property in Phoenix because all waterfront is not the same. The premium for waterfront property will vary depending on the proximity & accessibility to the water and the waterfront views associated with the home. * The Cove at the Islands-Waterfront Townhouses in Gilbert; 4 waterfront and 4 non-waterfront that sold in 2014, all two stories. The waterfront $/sq.ft average was $156/sq.ft while the non-waterfront units was $130/sq.ft. This represents a 20% premium for waterfront townhouses in this lake community. If you’d like to receive automatically listings of waterfront homes, click on Receive listings of homes automatically. Please describe in detail your dream home. *Crystal Shores at Val Vista Lakes. Two story homes with the same floor plan and square footage in Gilbert. The off the water home sold for $340K and the waterfront home sold for $450K two months later, a difference of $110K or a 32% premium. *Playa Del Rey Estates, a water ski community. Two single story homes across the street from each other. A difference of less than 200 sq.ft., the off the lake property had a private pool. The ski lake property sold for $184/sq.ft. and the other property sold for $136/sq.ft., or a premium of 35%. It would be even greater adjusting for the private pool of the non-waterfront home. *Lakewood in Ahwatukee. Waterfront homes (6) that sold in 2014 compared to non-waterfront homes(20). All homes had private pools. Waterfront homes averaged $200/sq.ft. vs. $138/sq.ft. for non-waterfront, yielding a 45% premium for Lakewood waterfront property. 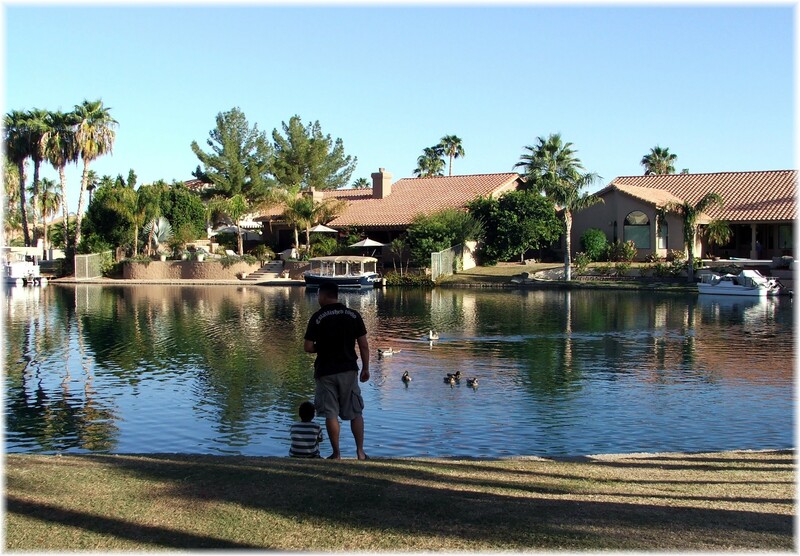 *Cantabria Shores, waterfront and golf townhouses in south Chandler. Two waterfront units sold for an average of $157.5/sq.ft. while two interior townhouses sold for $139.6/sq.ft., resulting in a 13% premium for Cantabria waterfront townhouses. *Ocotillo Lakes. 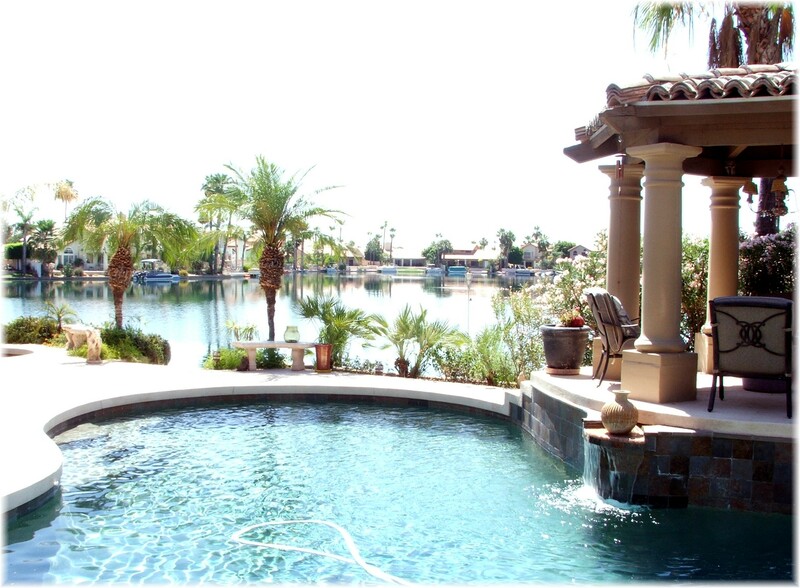 Chandler Waterfront homes sold in 2014 with a pool, $191/sq/ft. vs. $154/sq.ft. for non-waterfront with a pool is a 24% premium. As you can see the answer is still the same; ” it depends” upon the type, location,and waterfront view. However, this does show a general range for the waterfront property premium and show that waterfront property does cost more. To receive more waterfront information and listings, click on receive waterfront property home listings. For specific questions, feel free to call me or e-mail me at gordonbaker@remax.net. 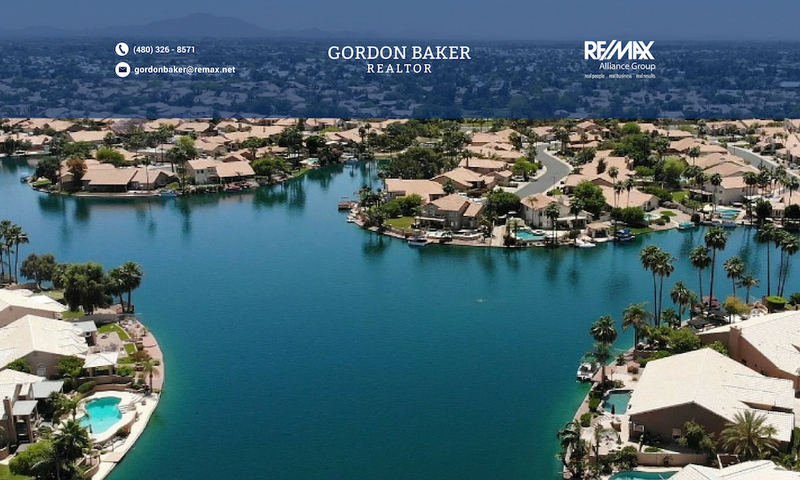 The valley cities that have the most lake communities are Chandler, Gilbert, Scottsdale, Mesa, Peoria, Glendale, Tempe, and Avondale. HOA Reserve Study – What can it tell you? Do tile roofs require maintenance?